It’s morning and a group of volunteers is spilling through the doors of the Boomerangs distribution center in Dedham. They’re here to help assemble racks full of clothing that will be shipped out to one of our four Boomerangs stores. After a brief orientation where volunteers learn about AIDS Action Committee, New England’s largest AIDS service organization and owner of Boomerangs, people begin to sort, tag, and stack the racks. The volunteer area inside the distribution center is buzzing with conversation as fashionistas weigh in on fashion faux pas of the past and stop to point out a particularly snazzy shirt. In a given shift volunteers will process hundreds of clothing pieces. It’s not uncommon for an impromptu fashion show to erupt to highlight particularly good finds or quirky vintage favorites. 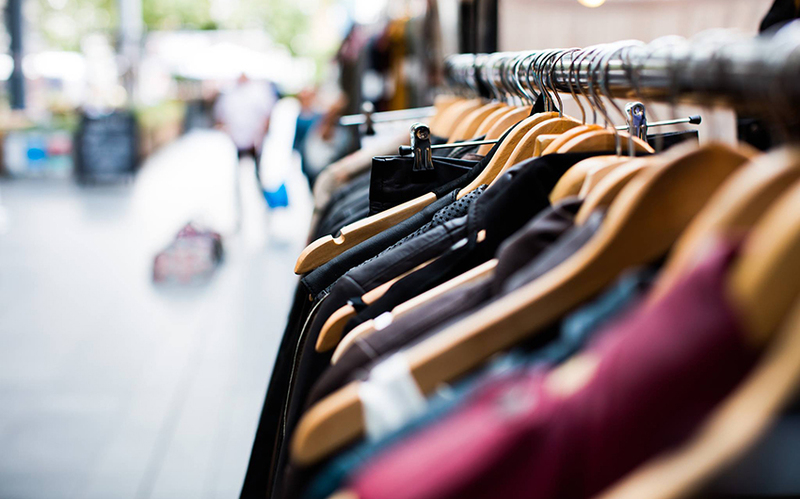 Sweaters, dresses, shirts, vintage clothing, and winter garments are placed one by one onto the rolling racks. Teams work furiously and cooperatively to ensure each piece is tagged, sized, and hung properly. In the aftermath stand 11 racks full of clothing that are ready to go out to the Boomerangs stores. The volunteers huddle up to review the day’s work, there are many smiles and plenty of pride in the amount of work they were able to accomplish in only a few hours. At Boomerangs, it’s not simply a matter of getting “a lot of work done,” but it’s about the ripple effect that all of this clothing will have on people in our own community. Every piece of clothing that is sold in our Boomerangs stores translates into unrestricted funding for AIDS Action. This means our neighbors will have access to critical care and programs to support them on their journey to health and it also means prevention programs, like our needle exchange, will remain funded. Host a creative collection in your office or school for essential items our clients need, contact Tamarind Tidwell, ttidwell@aac.org, for more information. Together we can ensure that AIDS Action is able to continue to deliver critical services to vulnerable populations. Sign up with your email to receive the latest updates on upcoming sales, promotions, special events, and news from Boomerangs! Attention Treasure Hunters: The Boomerangs Warehouse Sale Is Coming! Boom Your Room and Win! Is The Weather Outside Frightful? Shop Boomerangs Online!